EA Sports is releasing for the first time ever the Festival of FUTball, which includes iMOTM cards releases, classical international heroes, featured tournaments, two team of the tournaments and mystery packs. 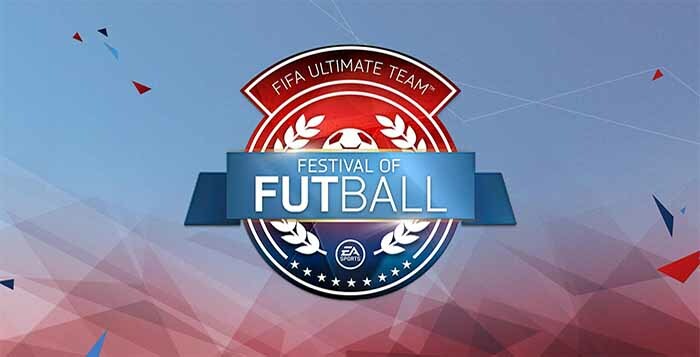 Beginning June 10, EA Sports is releasing for the first time ever the Festival of FUTball, available in FIFA 16’s FIFA Ultimate Team. It includes a number of exciting things happening in-game including brand new special item releases, a fiesta of exciting new tournaments with a variety of rewards, the release of a brand new tournament reward pack, and for the first time modern classic international heroes. With UEFA Euro 2016 and Copa America Centenario taking place now, EA is releasing special International Man of the Match items to the standout player(s) from the previous day of fixtures. It means that a new red and blue IF player card will be released everyday until July 11th. Just like any other IF card, these iMOTM cards are available for a limited time. During the Festival of FUTball, EA will be regularly celebrating some of the best modern classic players via one-off hero items that will only be available for a limited time. These hero items feature much-loved active players with upgraded stats based on their performances in past international tournaments. Ronaldo, Casillas and Iniesta are a few examples of players with good chances to get these special new items. Coming back to FUT will be Team of The Tournament, this time for Euro 2016 and Copa America Centenario. As soon as each one of these tournaments ends, EA will release a unique Team of the Tournaments (TOTT) squad with the most in form players of the tournament. 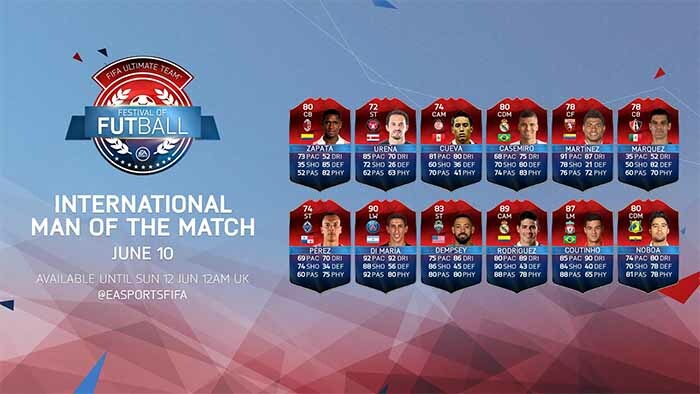 The last time a TOTT was released in FUT was during the Africa Cup of Nations 2015 and Copa America 2015. You can learn more about it clicking here. Throughout Festival of FUTball, there will be regular and new single-player and multiplayer tournaments in FUT featuring a variety of requirements and rewards, including new packs. The tournaments requirements should be related with Euro 2016 and Copa America matches. You can know the details of each tournament clicking here. This year, EA is releasing many new packs. They did it during TOTS and they are doing it again during Festival of FUTball. The brand new pack type, Mystery Pack, is obtained exclusively for certain tournaments wins. Open these to receive a mystery reward. Have fun with Euro 2016, Copa America and Festival of FUTball of FIFA 16 Ultimate Team.